This gorgeous peachy color is Majolica Majorca Caramel Cream. It has a very subtle golden shimmer that gives it a pearly, soft look. This is three thin coats and application was fairly smooth. 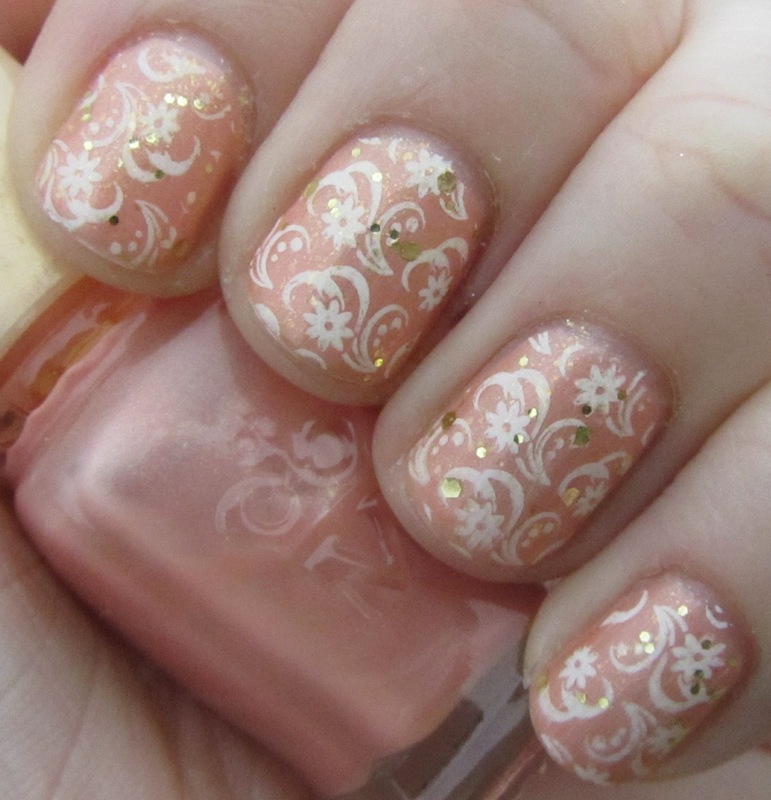 I added the design using Konad Special White and one of my newest stamping plates, m85. As I was looking at the golden bottle cap I couldn't help but thinking this color looked really pretty with gold, and I added a top coat of Deborah Lippmann Boom Boom Pow, and topped it off with Seche Vite! A very elegant manicure for my short little nubs! I always have short nails. Can't seem to get them to grow because they peel and break. (although since I've gotten obsessive recently they are growing! Finally!) 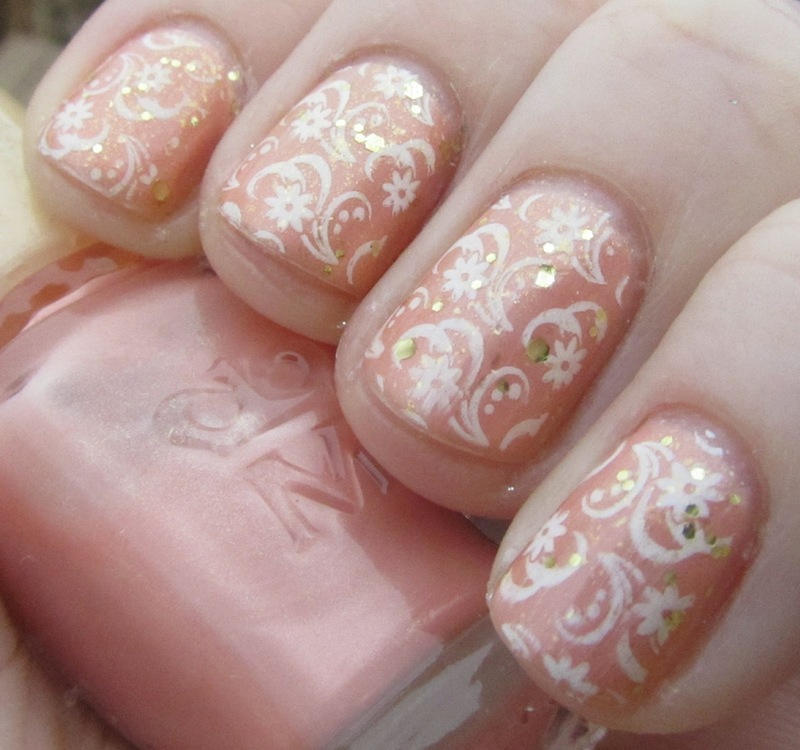 I love this mani, especially the glitter on top! OMG This is so pretty! I love it! I really like this stamp and the gold!